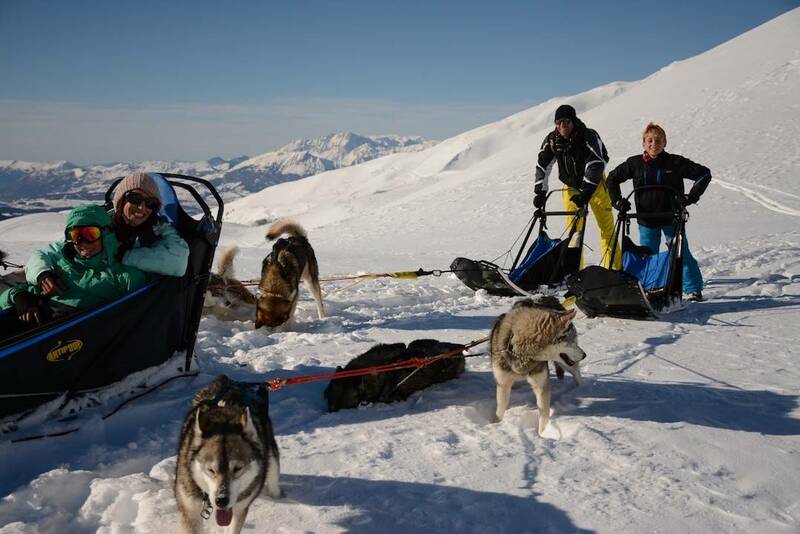 Husky sledding in the Southern French Alps is a bit different to the long flat snow fields of Scandinavia where the pace is steadier and slightly less sporty! 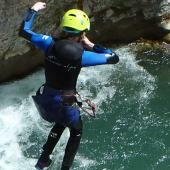 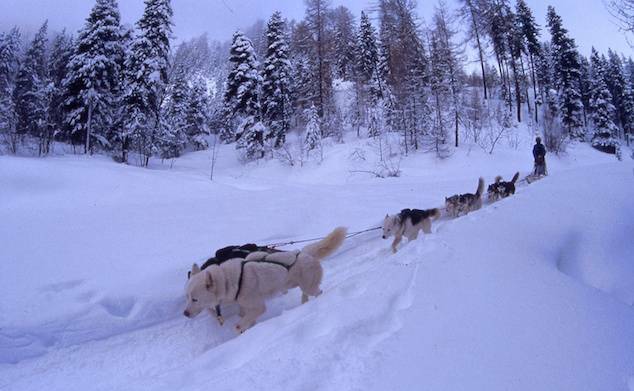 As you are in the mountains, there is more up and down so it is much more physical than one could think! 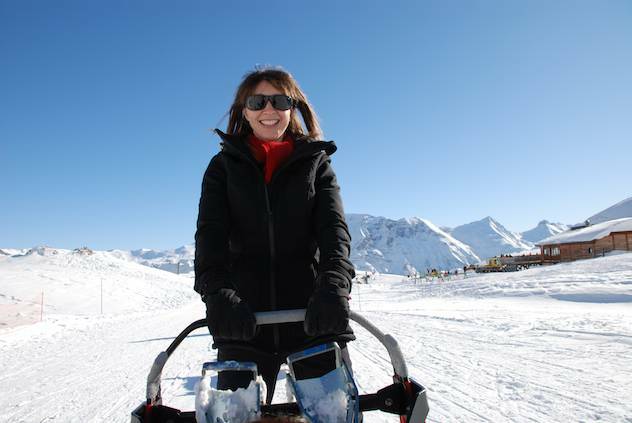 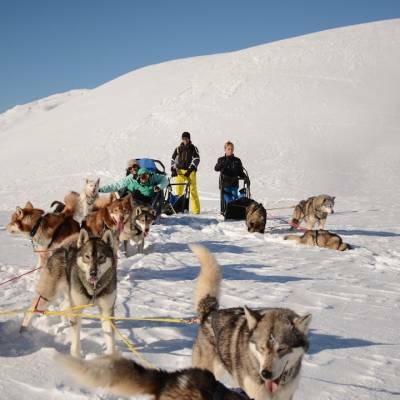 If you are looking for a husky sledding holiday, then look no further than our winter activity holidays in the Alps, where you can have a go at driving a sled or relax as a passenger and let someone else do all the work. 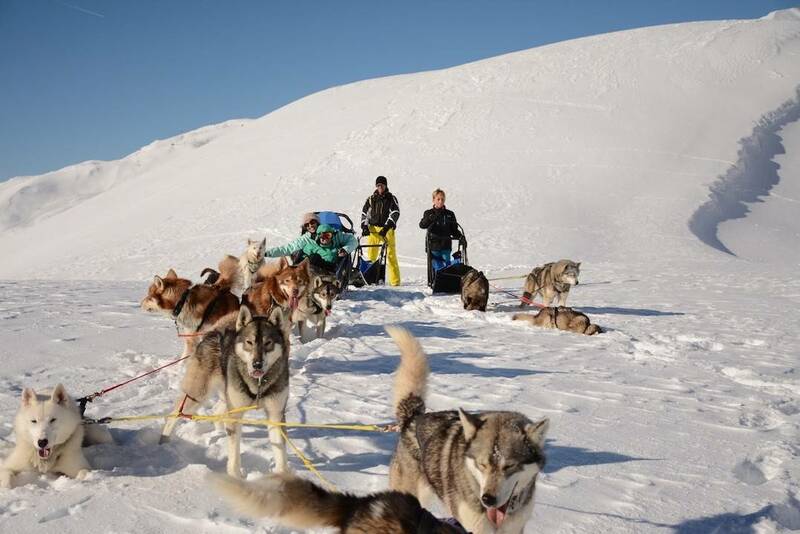 Have a read of our article, Alternative Christmas and New Year holiday ideas which features husky sledding amongst other non-skiing fun activities to do in the snow. 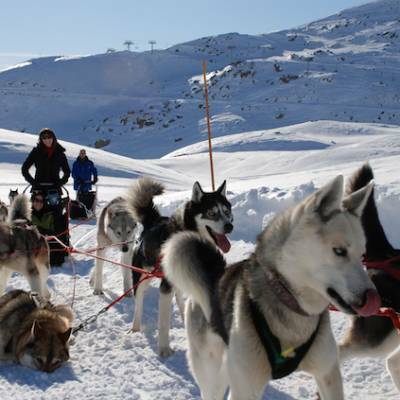 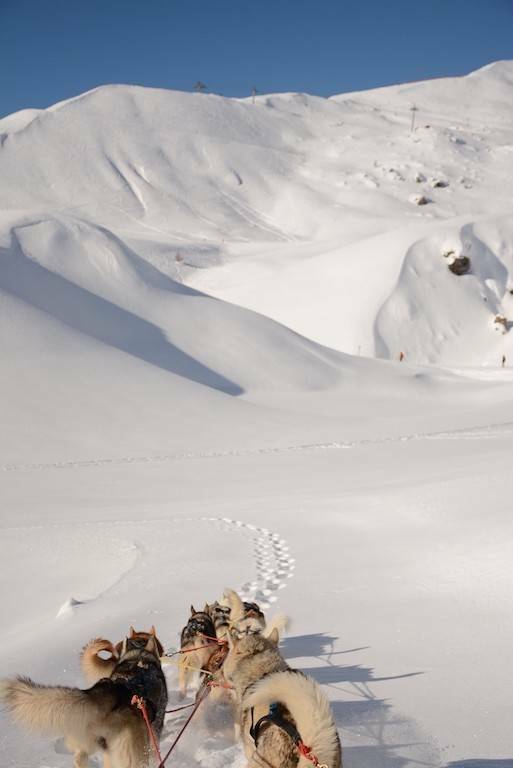 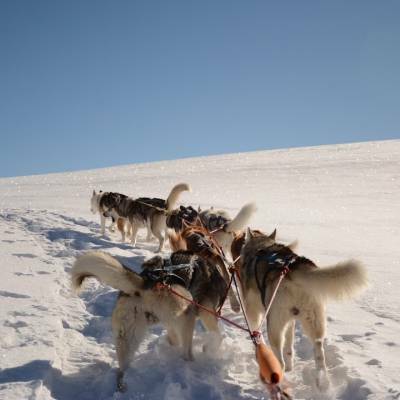 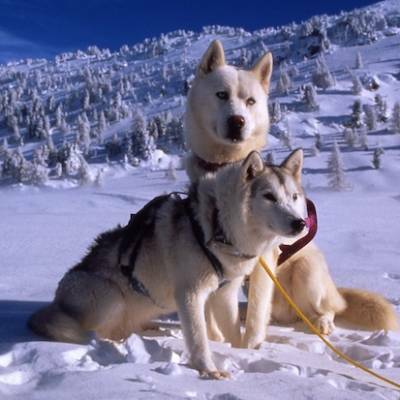 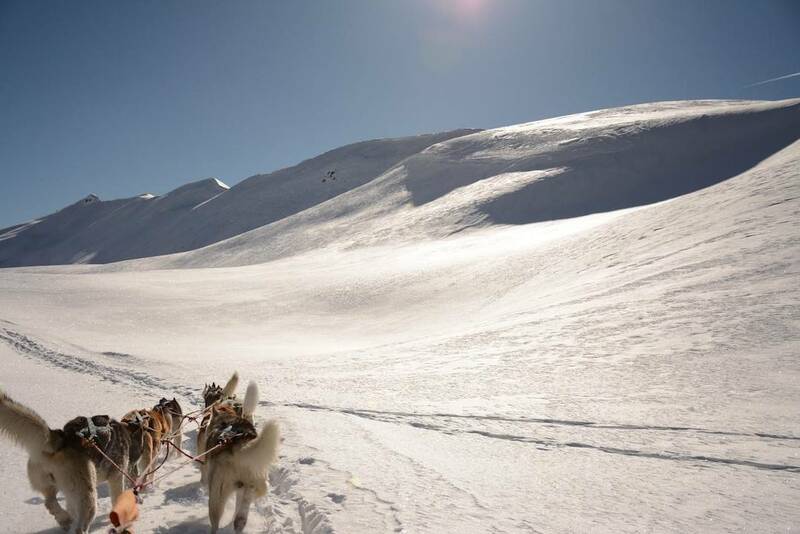 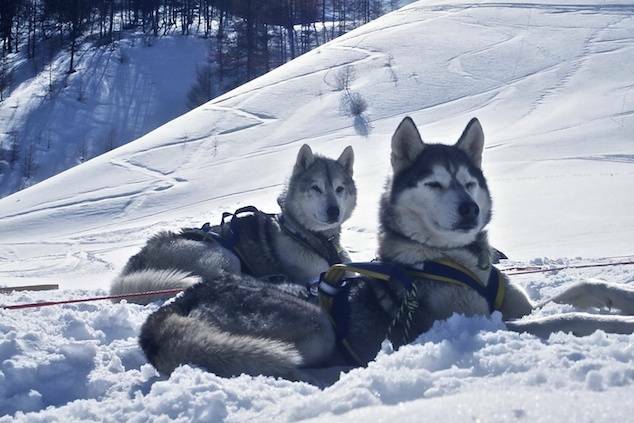 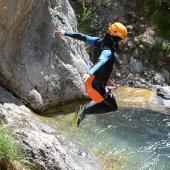 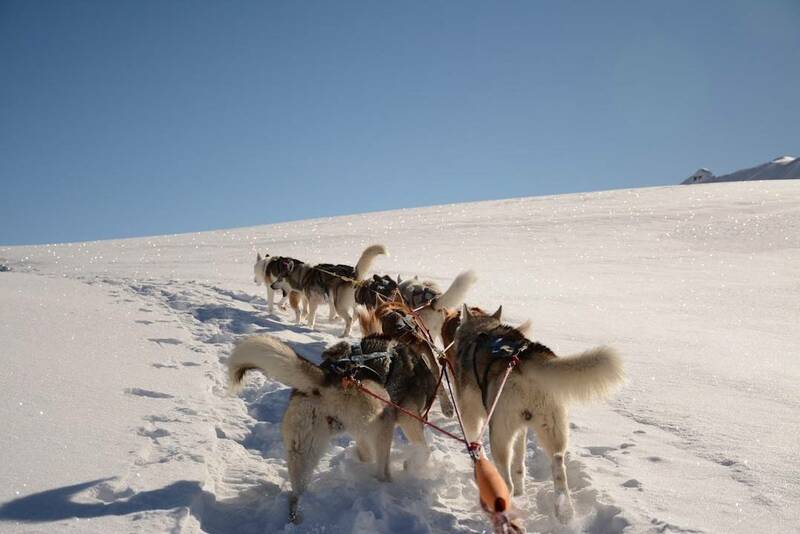 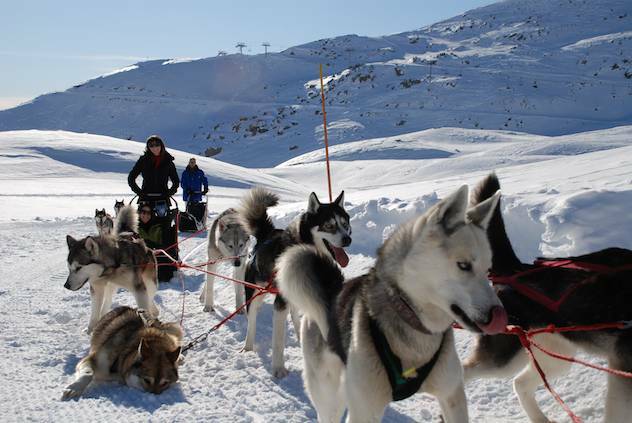 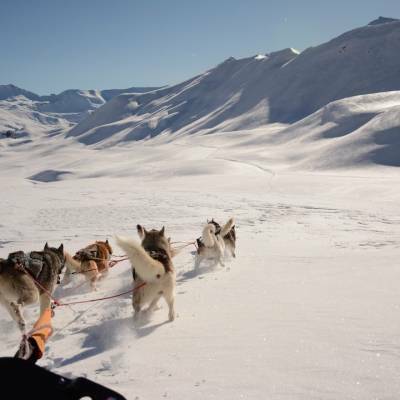 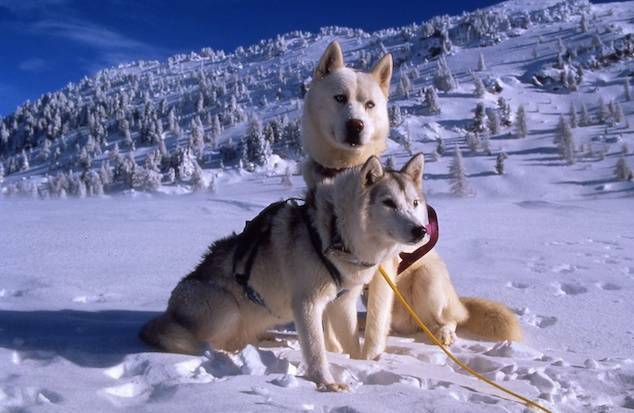 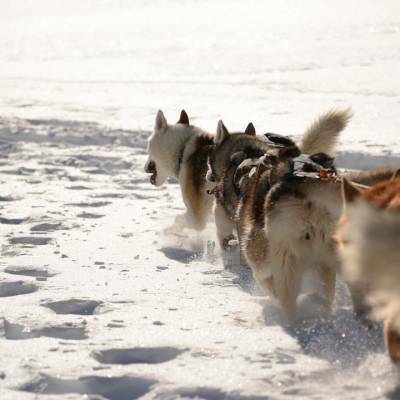 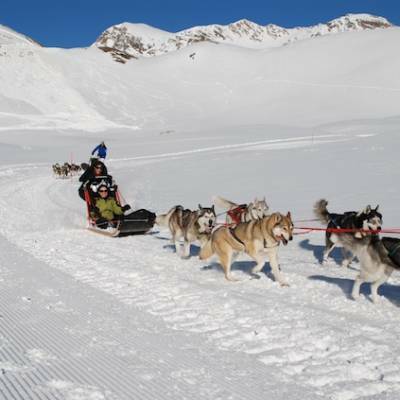 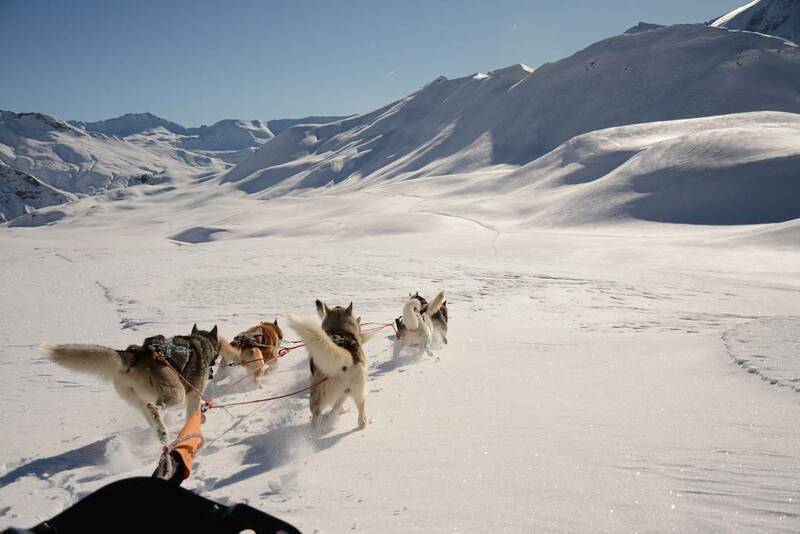 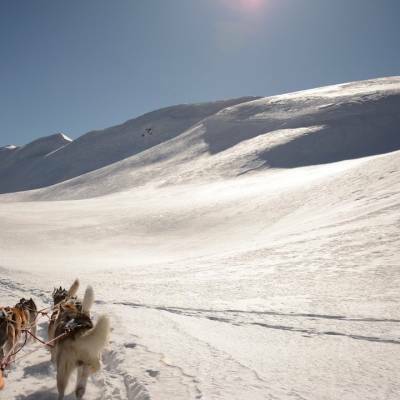 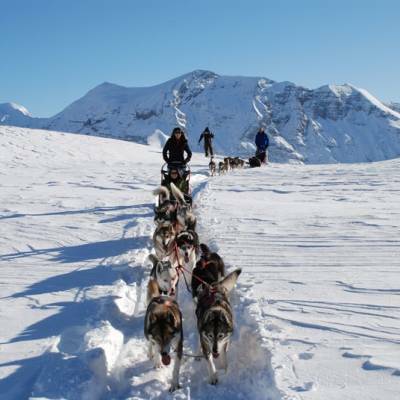 You can also try husky sledding on our trapper style wilderness weekend in the Alps. 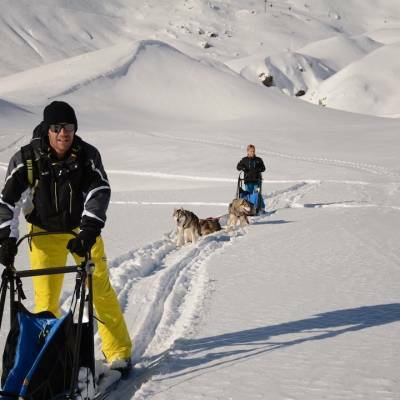 For driving the sled, you will need to give the dogs a helping hand on the steep up hill bits and hold on, steer and make sure the sled doesn't go out of control on the downhill bits. 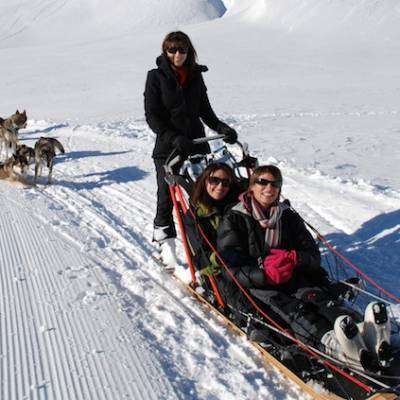 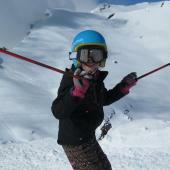 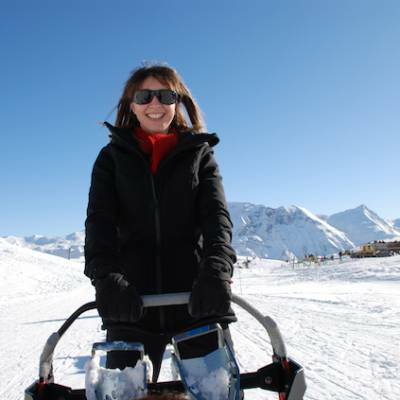 You can try a taster session, lasting about 15 minutes on a sledge to see if you like it. 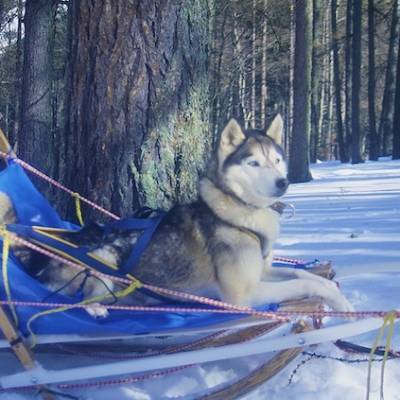 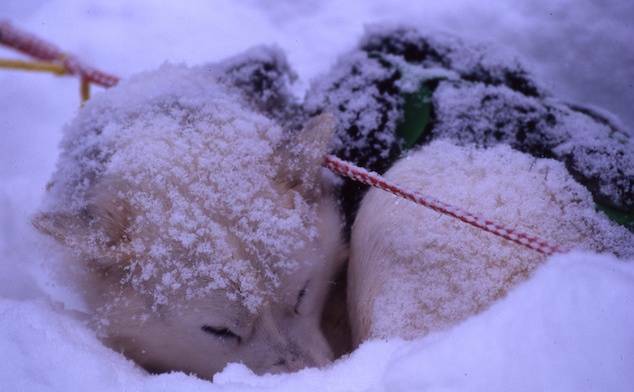 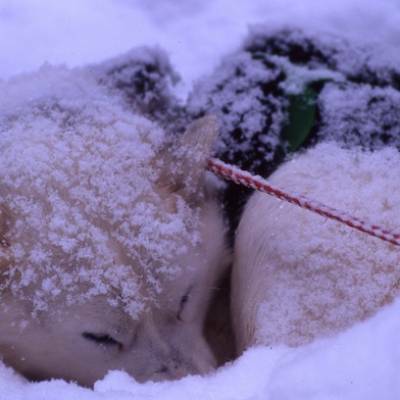 Or you can go out for an hour, a half day or a full day husky sled into the winter wilderness. 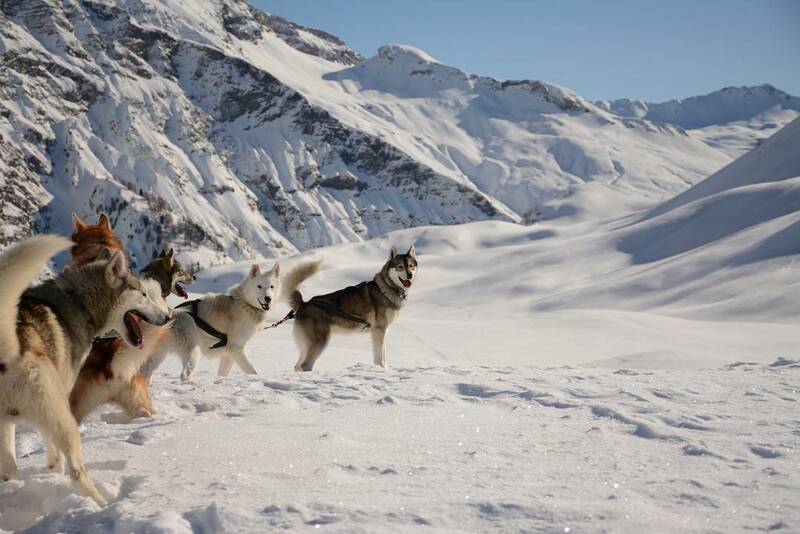 For longer trips, this is a great opportunity to get to know the dogs, helping to prepare them, feed them, pet them, clean up their poo (that's part of the game!) 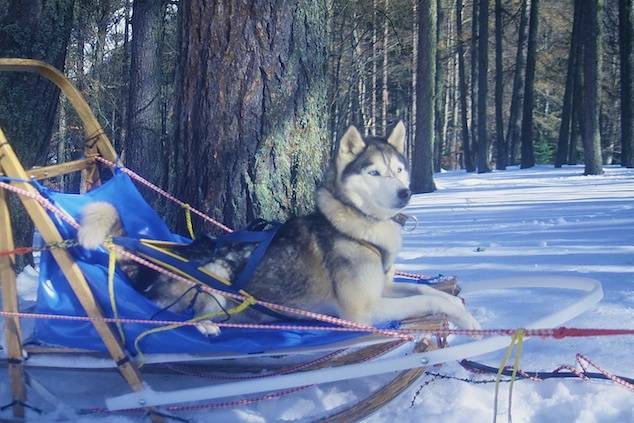 and of course get them working! 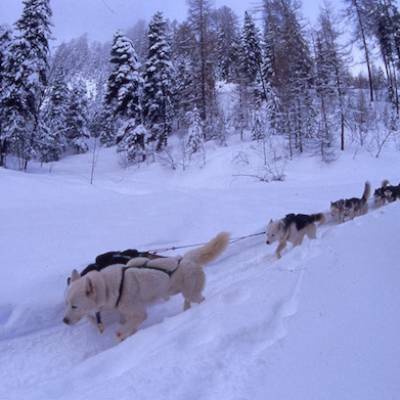 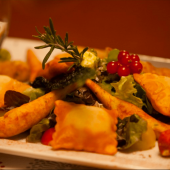 The dogs are all very well trained and friendly, and they are always secured by a leash. 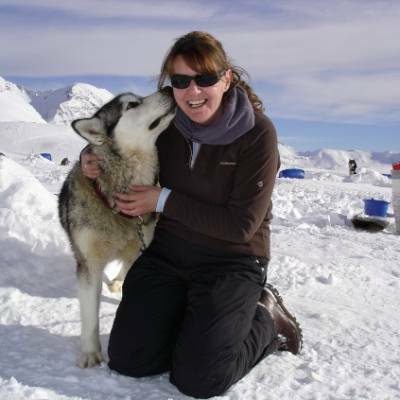 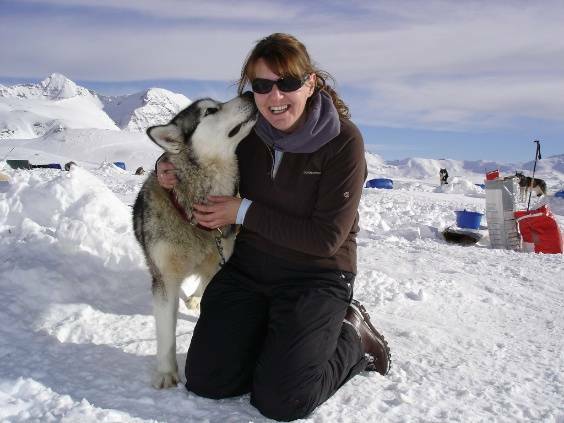 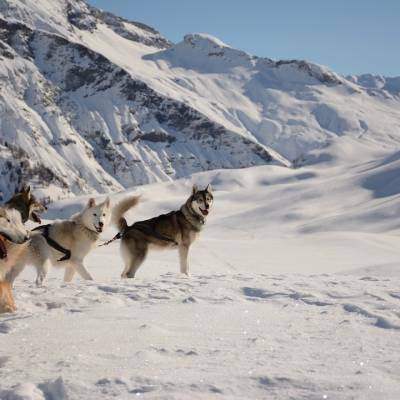 All our suppliers use fully qualified dog handlers and professional "mushers" with a special license to provide treks and taster sessions with the dogs. 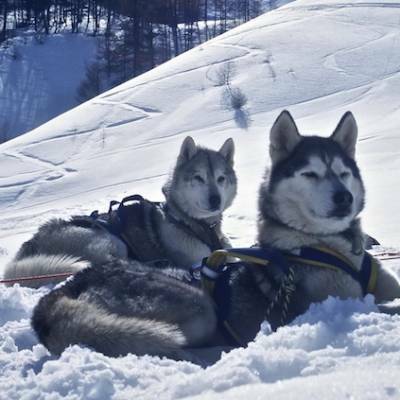 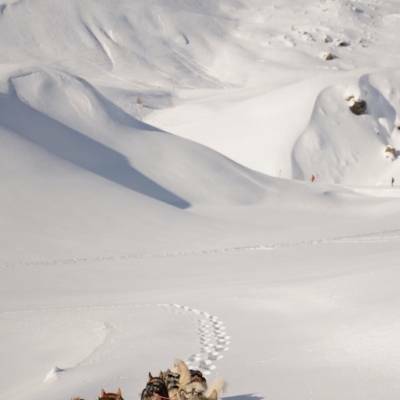 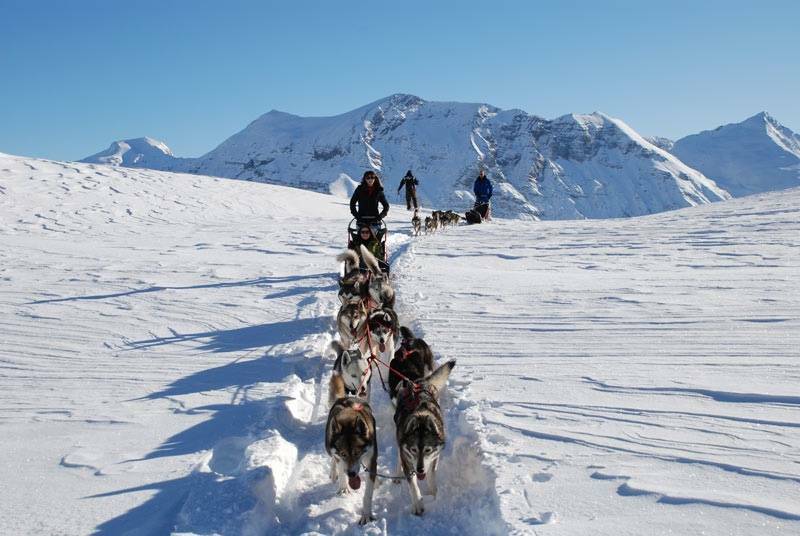 Every year at the beginning of February, the Champsaur and Valgaudemar Valleys in the Southern French Alps host a week of husky sledding races and events which are really fun to watch! 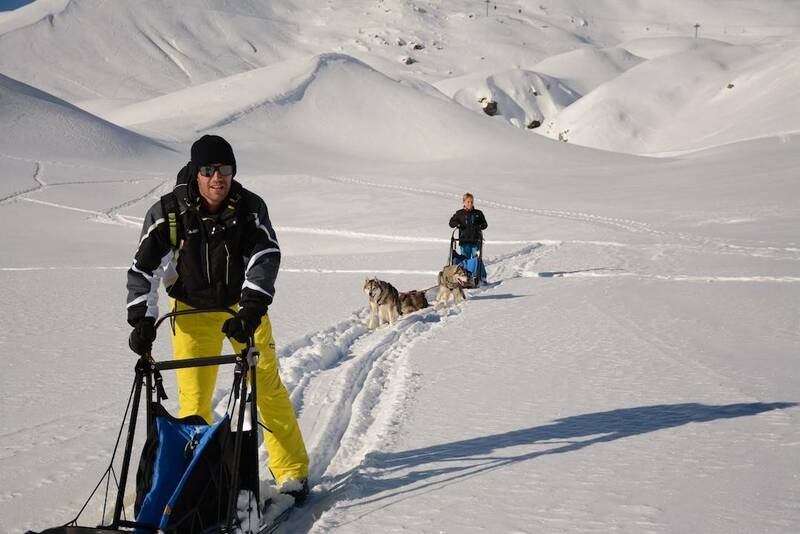 A fun way to ride through the snow fields - and much more physical than you think! 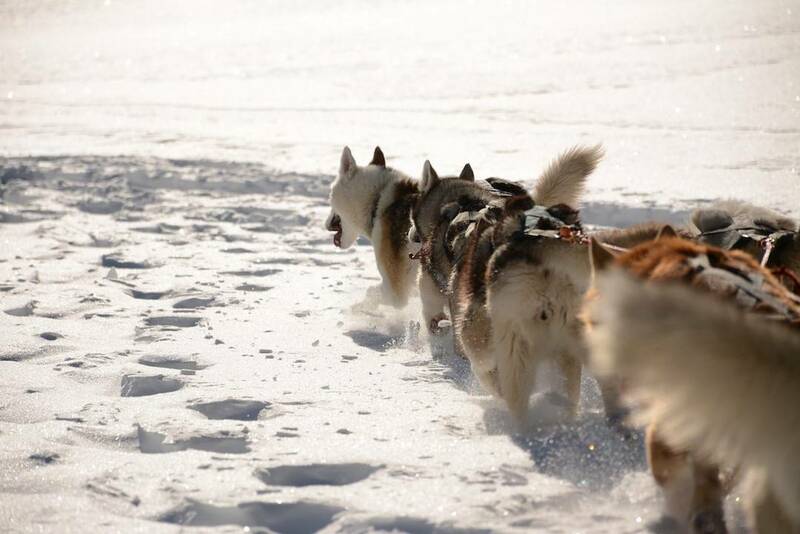 Minimum age for driving or 'mushing' the huskies is 12. 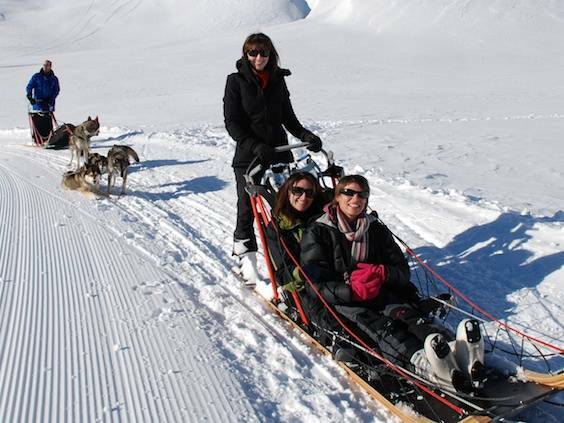 Children under 12 can be passengers in the sled but for very young children under 6, the length of time should be limited to 1 hour or less to prevent them from getting too cold. 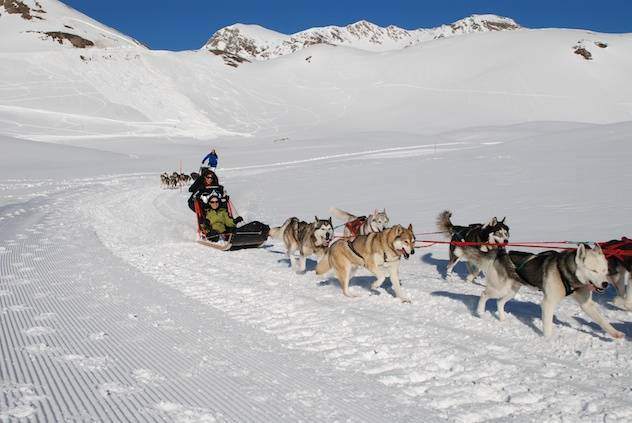 Anyone can have a go at husky sledding but beware: it is more physical than it seems and you do need to follow the instructions quite carefully!